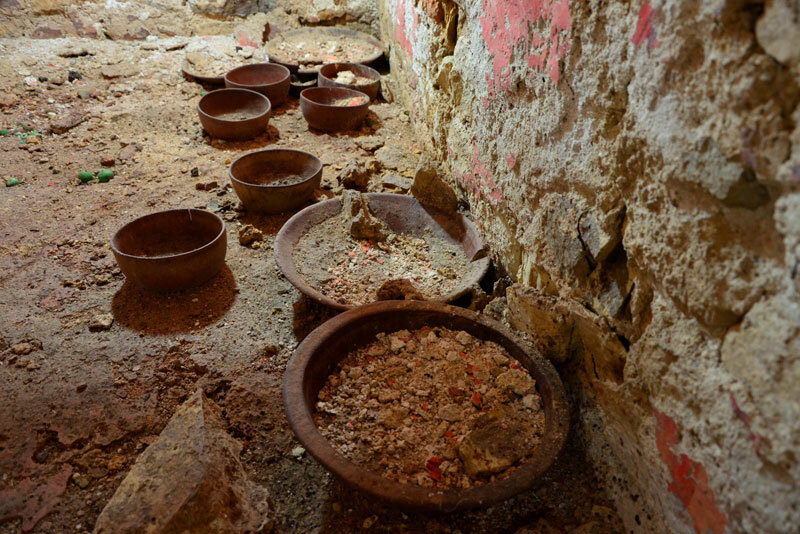 Mexican experts entered for the first time a 1,500-year-old funerary chamber in Palenque believed to contain the remains of one of the first rulers of this Mayan city, officials said. 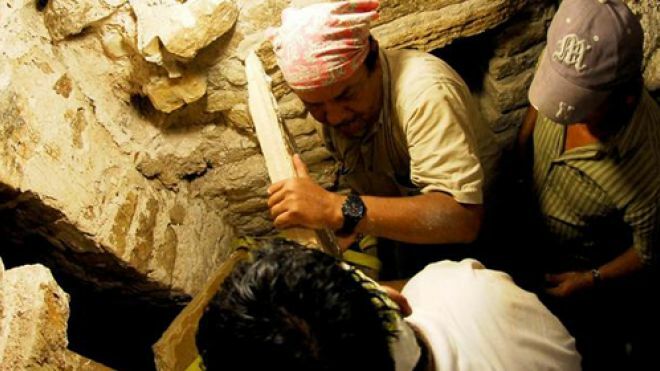 A multidisciplinary team from the National Anthropology and History Institute, or INAH, began exploring the mortuary chamber that could hold the remains of K'uk Bahlam I, who came to power in 431 A.D. and founded the dynasty to which the famed Mayan ruler Pakal belonged. The royal tomb, discovered 13 years ago inside Temple 20 of this archaeological zone in the southern state of Chiapas, is at least two centuries older than the tomb of Pakal, discovered 50 years ago at the same site, INAH said in a communique. 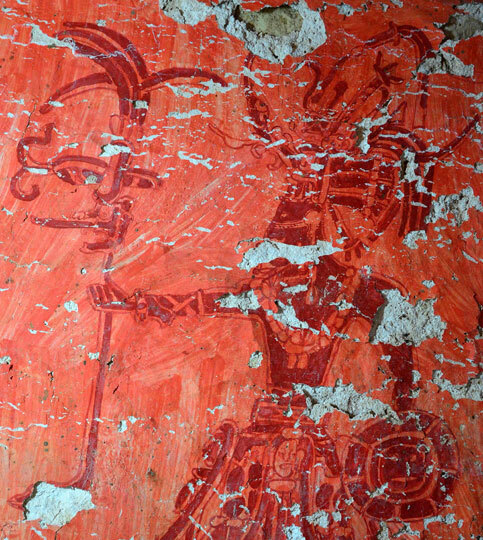 We're looking at one of the few examples of murals discovered in a funerary context in Palenque, which is why the work we're doing is so important. "As for dates, we're looking at the birth of the Palenque dynasty around the year 400 A.D., since we could be talking about the tomb of its founder," the archaeologist Arnoldo González, who along with restorer Rogelio Rivero is leading the project to open the burial site, said Thursday. Nonetheless, he warned that this is all speculation until the archaeological exploration gets underway. "This space could simply be an antechamber, because we don't know what we'll find deeper down," he said. 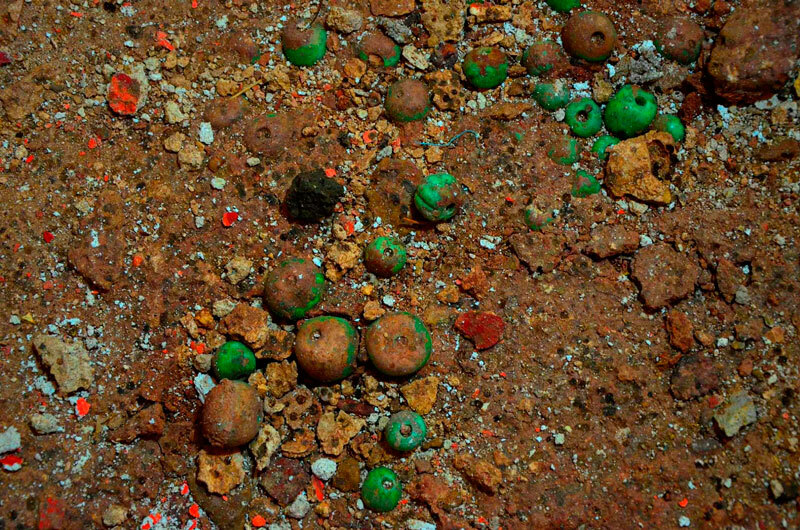 Inside the entry to the tomb, where no skeletal remains have yet been found, 11 vessels were uncovered and close to 100 other pieces, mostly large beads of green stone, possibly jade, and including a kind of ring and a pendant. 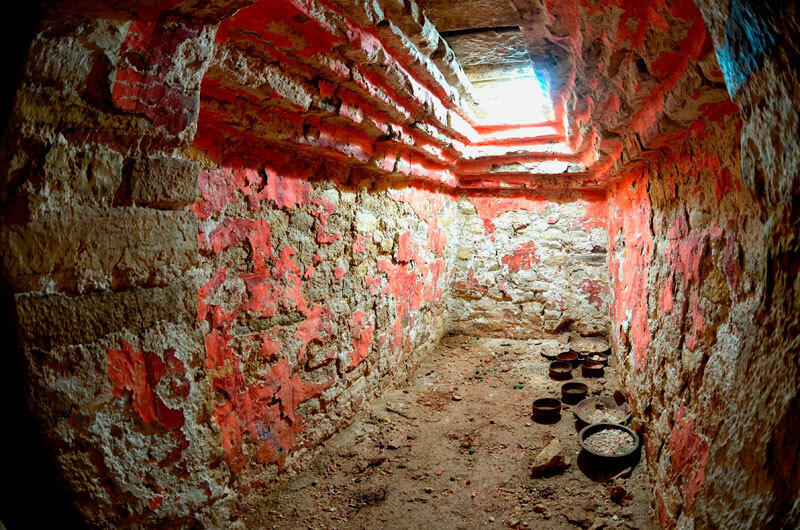 The chamber and antechamber of Temple 20 has no sarcophagus, at least not up to the point that has been explored, but it does have a mural painted in lively tones of red on three sides, with representations of the Nine Lords of Xibalba, or the underworld. "What is important in tombs of that time, the Early Classic Period (400-550 A.D.), is the painting. We're looking at one of the few examples of murals discovered in a funerary context in Palenque, which is why the work we're doing is so important," González said. While the Temple 20 tomb is evidently replete with archaeological riches, González and Rivero said that these will not be explored nor recovered until the murals are stabilized. Rivero said that the emergency measures taken to preserve the murals will require at least three weeks, and will consist of fixing and consolidating the pictorial layer, while making a graphic and photographic record of the works.